Andrew has recently been invited to join the Bristol City Council's Conservation Advisory Panel (CAP). CAP was established to provide independent advice and guidance on planning, listed building or public realm proposals that potentially have a significant impact on Bristol's heritage assets. The panel review and comment on planning applications affectng a listed building or impacting the character of a conservation area. We are exhibiting again at the forthcoming Listed Property Show on the weekend of 24 - 25 February 2018, at Olympia London. If you would like to come along, do get in touch and we can send you complimentary tickets. In November 2017 Historic England (HE) included Peter Adlington's celebrated Garden at Turn End, Haddenham, Buckinghamshire on the Register of Parks and Gardens of Special Historic Interest in England. The house also designed by Peter Adlington is Grade II* listed, one of very few post war houses awarded this grade. As the garden was designed as a natural extension to the house it is fitting they are now both recognised and protected. Registration of gardens is a 'material consideration' in the planning process, meaning that planning authorities must consider the impact of any proposed development on the landscapes' special character. The first annual conference of the recently formed Bristol Heritage Forum was a great success. The benefits, limitations and future challenges of Conservation Areas were discussed and illustrated with walkabouts in Bristol including the centre, Fishponds and Avonmouth. The History and Sounds of Sylvia Crowe's Cumberland Basin, Bristol. Wendy teamed up with Dan Pope (Atkins Senior Consultant, Acoustics, Noise & Vibration) to explore the Cumberland Basin Bridges scheme on World Listening Day. 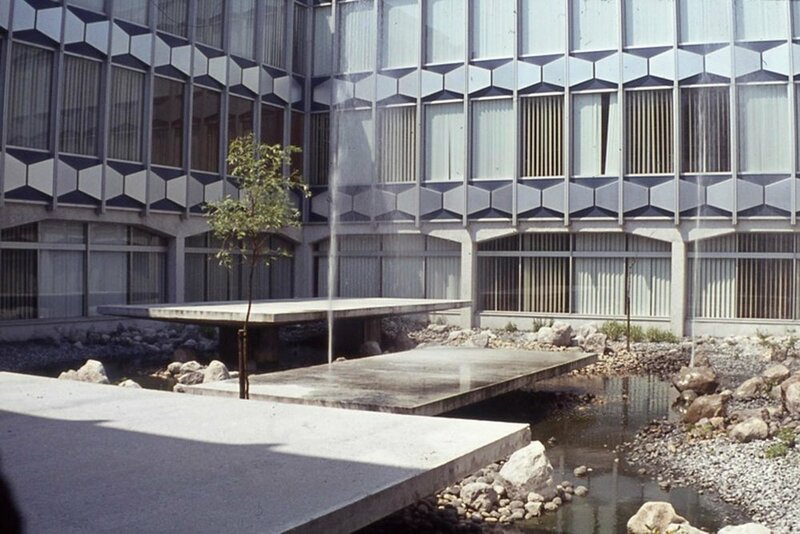 The aim was to experience the architecture and landscape through the sense of sound. Performance artist Ellen Southern carried out a surprise site specific piece under the Brunel Way, that explored the specific acoustic qualities of the space. We have been commissioned to design 2 barn conversions within a listed, traditional farmstead located in Wiltshire. The farm and buildings are in one ownership. Our clients would like to down size from the large listed C18 farmhouse into a purpose designed barn conversion. Vacating the farmhouse would allow their daughter's family to live there. The other barn is planned as guest accommodation. The newly extended Garden Museum, next door to Lamberth Palace, hosted The Gardens Trust conference. The purpose of the conference was to promote the understanding and significance of landscapes laid out between the mid 1960s - 1990 and to review how they can be recognised and conserved. The conclusion was to set up a post-conference project, called Compiling the Record, to aid protection. Wendy attended the conference and wrote a blog report for the Landscape Institute website. As a Trustee of the Avon Gardens Trust she is currently helping to co-ordinate nominations of local landscapes to be included on the record. Great news, planning has been granted. As our commission was design only up to planning consent we wish our client well with the technical design and construction phases. 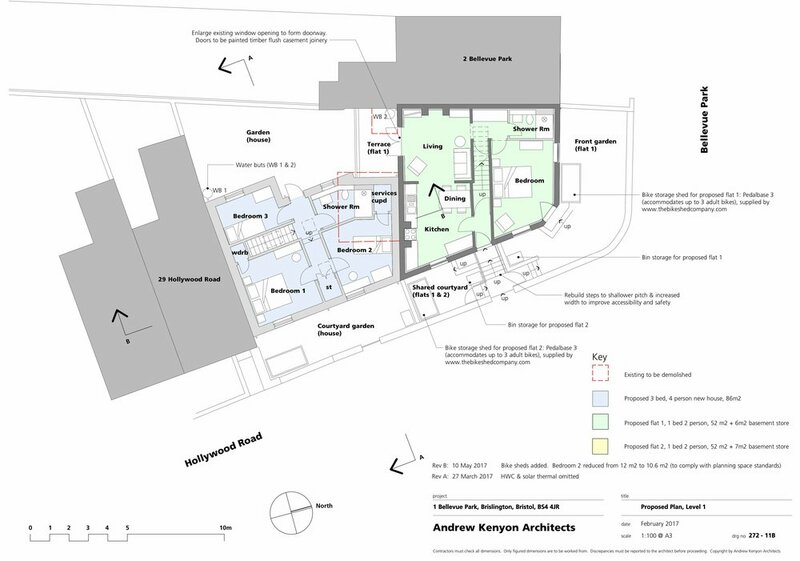 Construction Project Managers CLPM have recently started work to build Andrew Kenyon Architects design for Maligne House near Faringdon, Oxfordshire. Our clients named their future home after the beautiful Maligne Lake in the Jasper National Park, Canada. Completion is planned for summer 2018. Our contemporary design for this new build house features open plan kitchen/dining/living spaces, five bedrooms, detached garage, studio and plant room totalling approximately 400m2. Sustainability is a key driver in the design process with a target of near Passivhaus standard.